Selecting straight bar (backrest bar that has at least 200mm of straight section in the middle) Your bag will clip directly to your wheelchair. If your wheelchair does not have a backrest bar or is a folding model select the folding and no back bar option. Note: 25mm of clearance between backrest and backrest bar is required on straight backrest bars. If you have a canvas upholstery you can increase this clearance by sitting forward when you connect the bag. If you have an aftermarket backrest with a straight back bar and less than 25mm clearance between the bar and backrest please contact us for guidance. 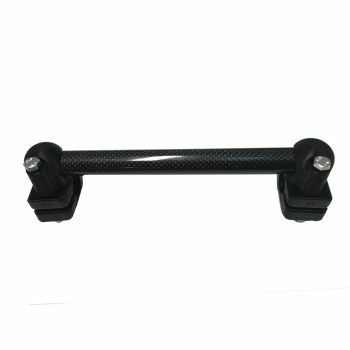 Compatible with rigid and folding wheelchairs. The Unstoppable gear bag twin set is essential kit for every wheelchair user. 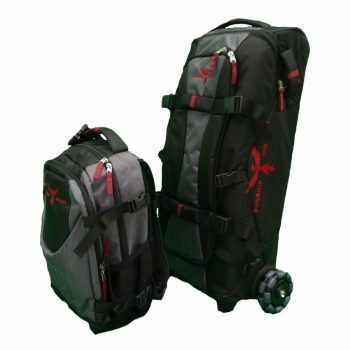 The two bag system includes an 87L wheeled bag and 37L backpack. The two bags clip together for easy transportation and can be used separately. 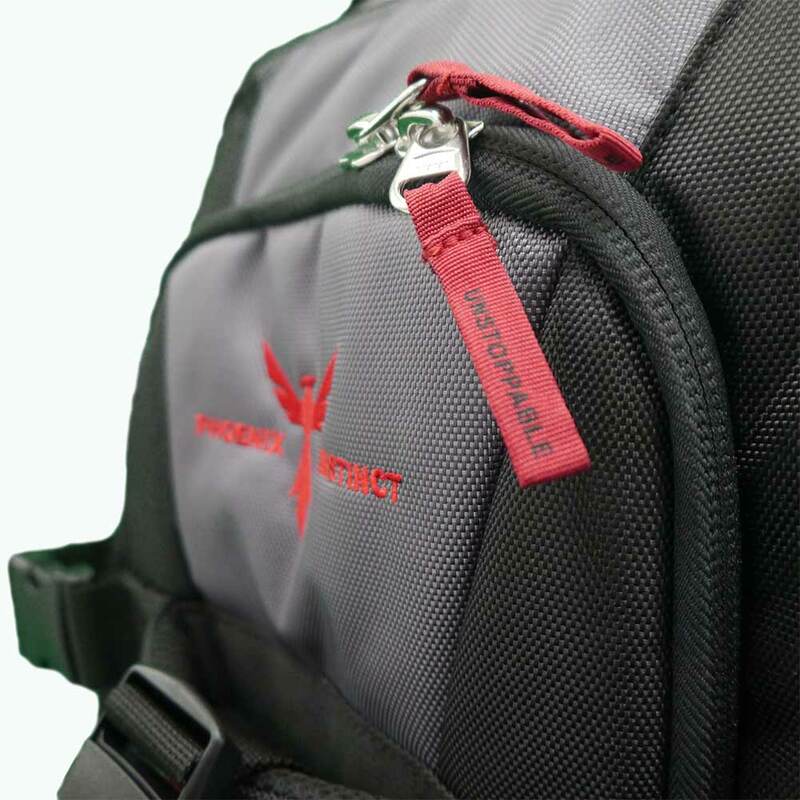 Unstoppable is designed to carry all the weight so your chair won’t tip back when using your bag. Your Unstoppable bags will move easily with your chair in all directions and surfaces, even up and down curbs.